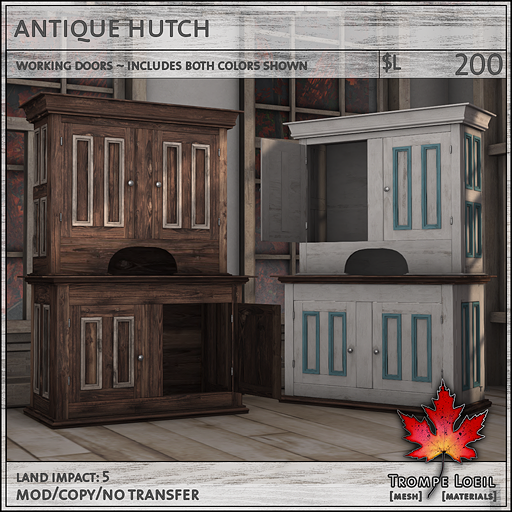 Thinking about home for the holidays? 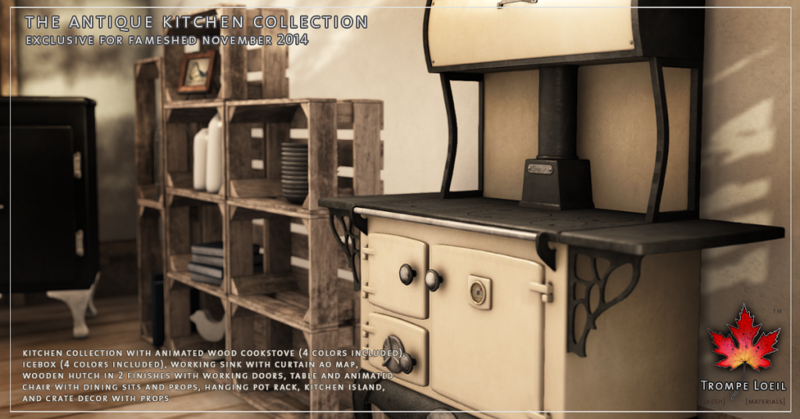 Nothing says family like a warm kitchen full of the basics – handmade, simple, and with a style that makes them eternal classics. 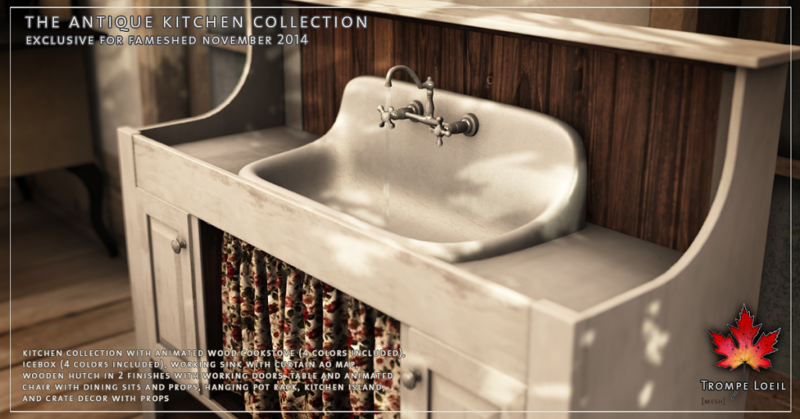 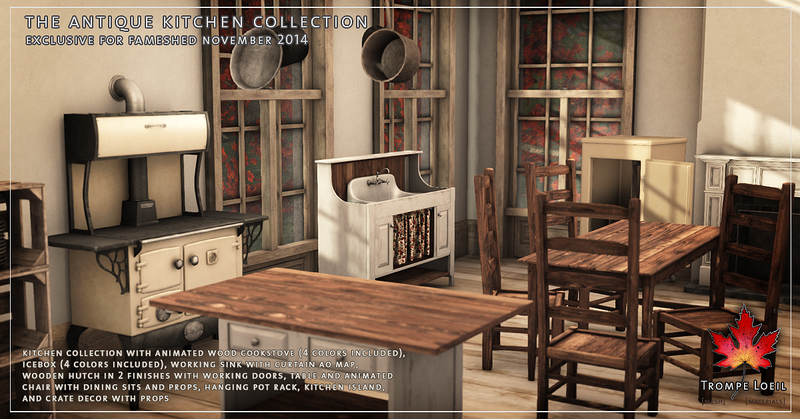 Create those kitchen memories with the new Antique Kitchen Collection, only at this month’s FaMESHed! 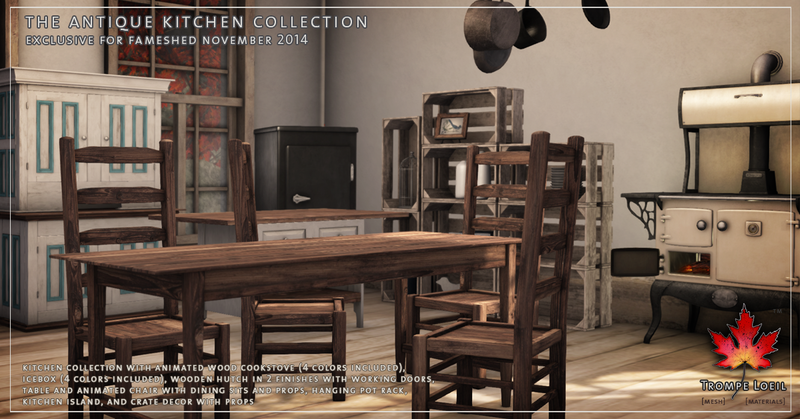 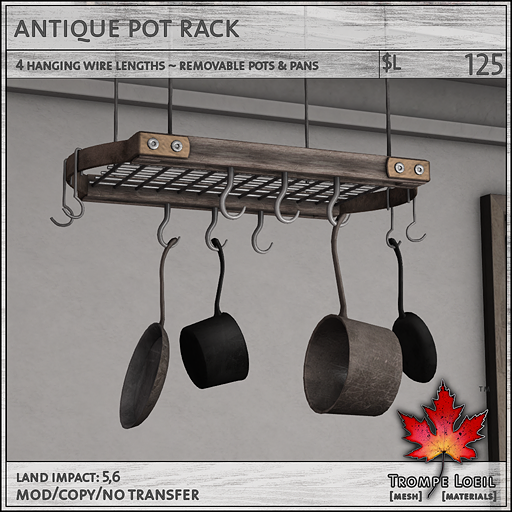 This 8 piece set is available individually, or save $L290 with the full Antique Kitchen Collection fatpack! 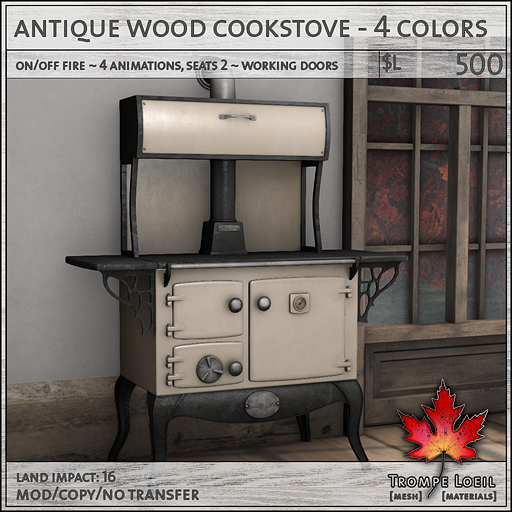 The centerpiece is the Wood Cookstove, a lovingly detailed classic that features 4 singles and couples animations, seats 2, working fire and doors, and 4 metal colors (ivory, black, green, and blue) are included! 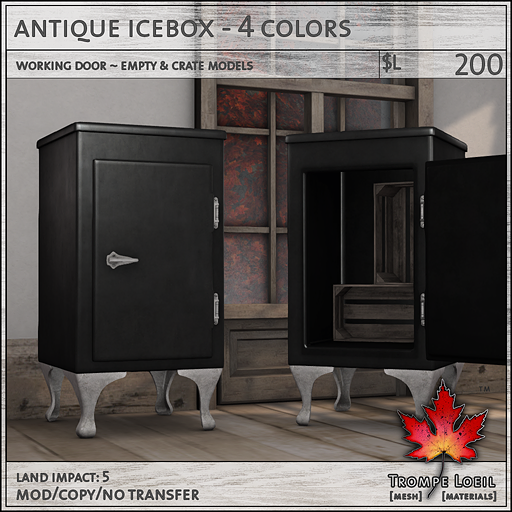 The Antique Icebox includes the same 4 matching colors, and opens to reveal an empty or crate-filled storage area. 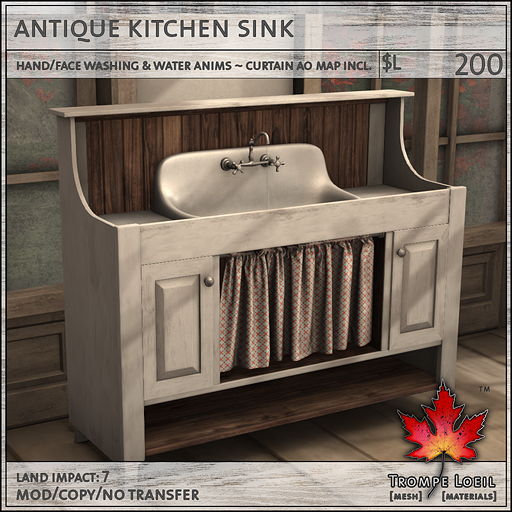 Round out the set with the working Antique Kitchen Sink with 2 animations, working water effects, and 5 patterns for the texture-change curtain, plus included AO Map for making your own curtain textures! 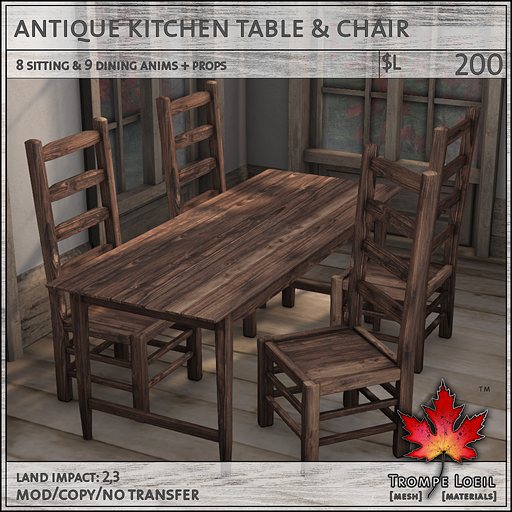 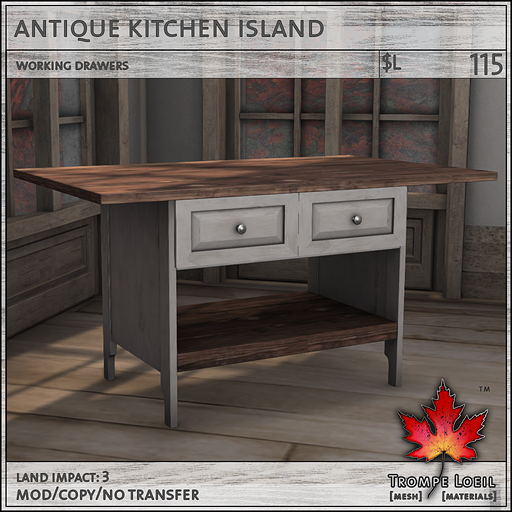 We’ve also included a rustic Table and Chair set with 8 sits and 6 dining animations plus props, Crate Decor, Pot Rack, Kitchen Island, and Antique Hutches in white and brown versions. 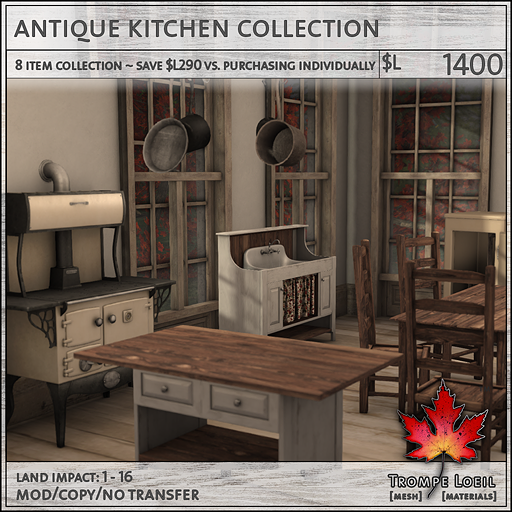 Everything you need for a real turn of the century country kitchen! 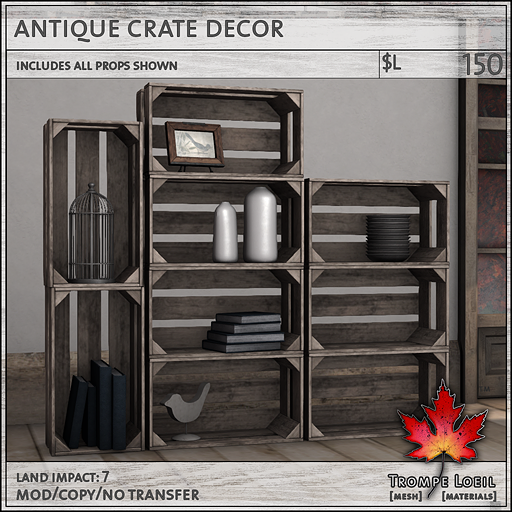 Stop by FaMESHed during the month of November and grab your favorite pieces – or the entire set at a great discount – today!